This is an exclusive report received by ISKCON Truth Team today. This report was not only disturbing but something which was not ready to publish but we are Narasimha's devotees and that is what motivated us to release this news. On Prabhupada's disappearance day Oct 23rd, 2017 Jaya Lakshmi Dasi as usually went to the temple to do seva with her family. She had been requested by new pujari or priest to clean Puja Samaghri (utensils). She went to the room to clean them at the same time Ram Murari (temple president) also present there. They questioned her why she came inside. A request was put in front of her; if she wants to continue seva in the temple, she must ask for forgiveness by touch Ram Murari feet. She opposed that and he created a tensed environment with vulgar words and beat her on chest using a hard iron material lock. 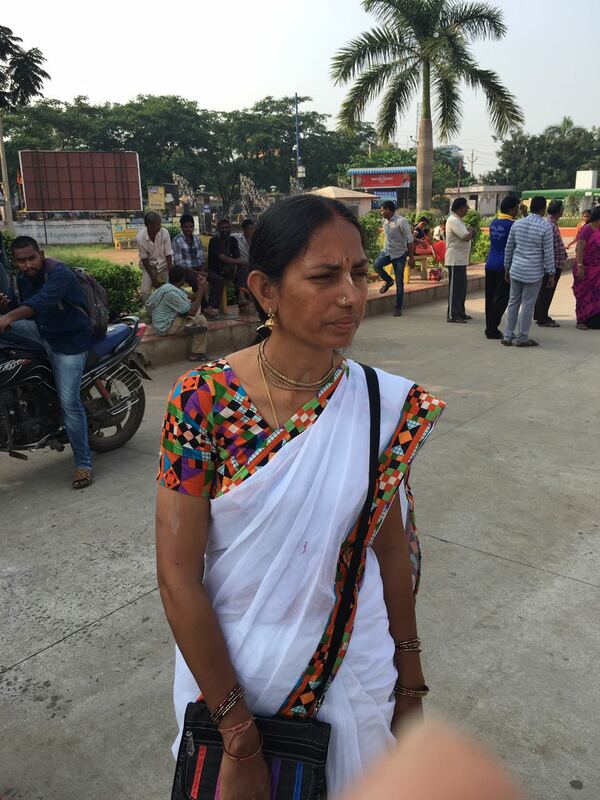 She tried to defend herself by shouting out loud at her family members who are also present in the temple. 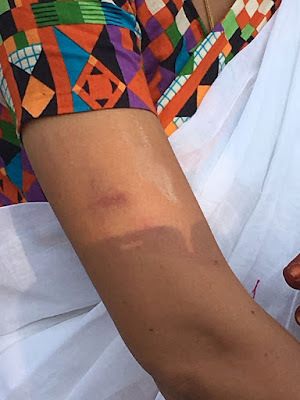 They were also beaten by Rama Murari and his other relative with sticks. It has been recorded that at least 100+ ISKCON Vijayawada devotees have requested the higher iskcon authorities to remove him from the temple president post but by the support of his relatives or temple presidents of Tirupati, AP (Revathi Raman) and Rajahmundry, AP (Sathya Gopinath) none of his heinous acts were exposed to GBC. Revathi Raman now elected as a full-time GBC member, therefore, Ram Murari Dasa will easily escape. These all things have puffed up his ego and he went to such an extent, now we r going to fast and do protest until justice has been done to us. prabhuji ,if at all anything can be done pl try to do to protect Iskcon we love ISKCON so much as it Srila Prabhupada heart When my mother passed away just before my marriage from that time I got clarity of srila prabhupads books and temparary material world even though my mom loves me so much nothing she was able to do for me , so I diverted my love towards krishna and srila prabhupad ,and have been succesful at each and every step with mercy of srila Prabhupada, if at all srila prabhupad books were not there I wdnt have felt such a protection from the lord every step in my life . My in-laws objected and even blackmailed to give divorce but I was so stubborn and followers iskcon and krishna had me successful at every step of my life , now how can I restrain my self when iskcon name has been damaged with Ram murari pr activities , should I see who is powerful in materialistic view r fight for for dharma. Similarly, jaya lakshmi mathaji had come at a het16th year she had her success history, why should we not fight for dharma, our temple sunday programme has been attended only br 30people prevously 300-400 people used to attend when murali mohan prabhuji is president. ISKCON is not properly represented until this Ram murari pr is called back we r going to fast. Even now justice cant be done we r ready sacrifice our lives . Please atleast now take these issues to notice of HH Jps, as we heard about ur sincerity, the only spiritual master had the right to correct his disciple.